With 2 full hours of fireproof security, this two drawer FireKing is your best best for legal size files, vital records and documents. Made in the USA. All FireKing files come standard with a Medecco high-security key lock. Programmable electronic locks are available for most FireKing files. 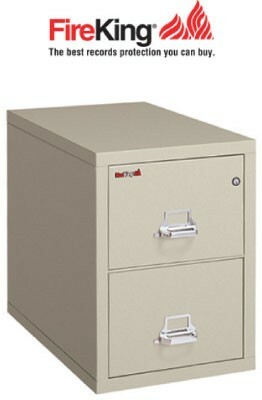 You can specify one E-lock for the cabinet or order your fire safe file with E-locks on each filing drawer (Turtle™ files are equipped with standard key locks). 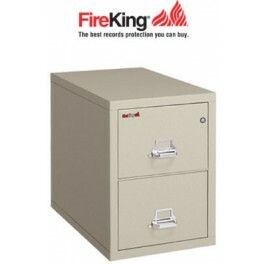 A 2 drawer vertical filing cabinet from FireKing means 2 hour UL Rated fireproof security and protection.